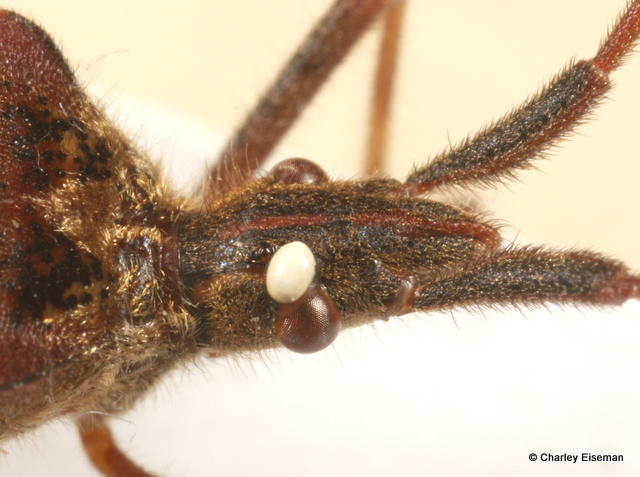 On March 17, the night before embarking on the southeastern road trip from which my car has yet to return, I noticed a tachinid fly egg on the head of a Western Conifer Seed Bug (Coreidae: Leptoglossus occidentalis) in my bathroom. 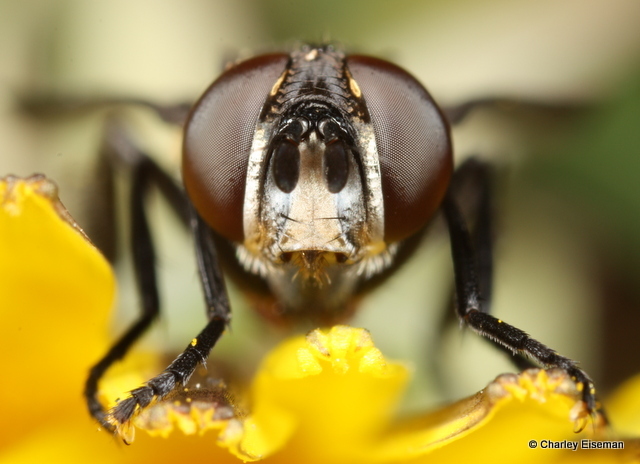 A tachinid fly egg on a true bug (suborder Heteroptera) is likely to belong to the genus Trichopoda, members of which are known as the feather-legged flies. Having never encountered one of these (or, at least, never photographed one), I figured I’d take the opportunity to try to raise one, so I put the bug in a jar with some soil and went to bed. To my surprise, the bug was still alive a couple of weeks later, but finally it gave up the ghost, and on April 10 I discovered the puparium of the tachinid larva that had been developing inside it all along. 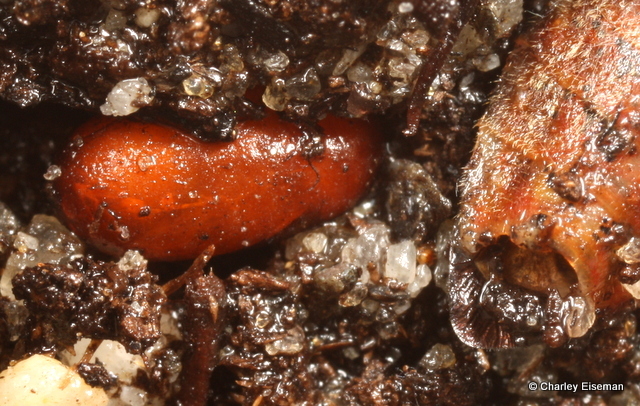 The moldering bug was lying on its back, and I presume the hole at the tip of its abdomen (shown at right in the above photo) was made by the exiting fly larva. 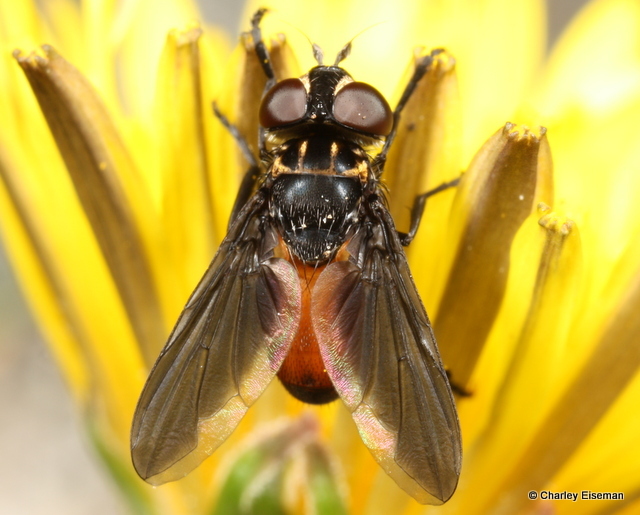 Yesterday the adult fly emerged. 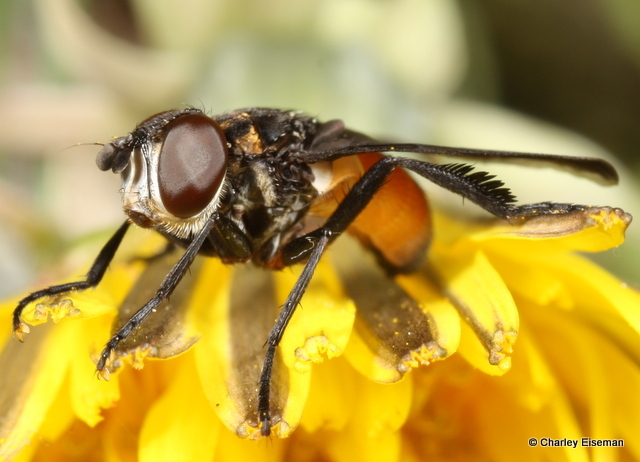 After browsing through photos on BugGuide.net, I’m fairly sure it’s Trichopoda pennipes. Since this species is evidently often found on flowers of goldenrod, asters, and the like, it seemed reasonable to set it on a dandelion for a little photo session. When I was done I left it there to finish warming up and then go forth and find some other bugs to parasitize. 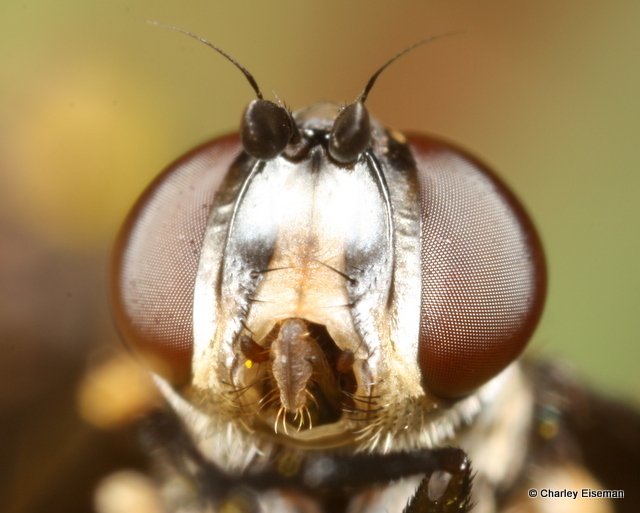 In this side view, you can see why it’s called a feather-legged fly. 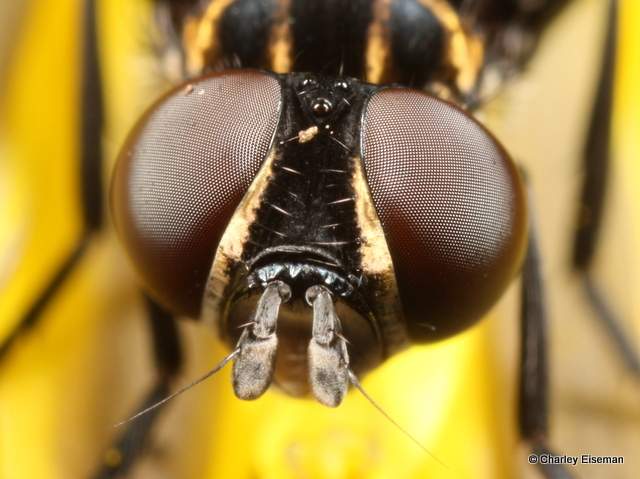 I’ve never photographed a fly face from this angle before. That mouth is pretty vile. Other angles are a little more flattering, but flies are pretty alien-looking up close no matter which way you look at them. Still, if they’ll help cut down the Western Conifer Seed Bug population in my house, I’m happy to have them around. 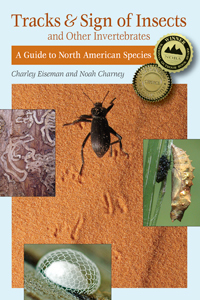 This entry was posted in Uncategorized and tagged Coreidae, Diptera, egg, feather-legged fly, fly, leaf-footed bug, Leptoglossus occidentalis, parasitism, parasitoid, Tachinidae, Trichopoda, Trichopoda pennipes, Western Conifer Seed Bug. Bookmark the permalink. You know that saying, you can’t make this stuff up. That’s amazing, Charley. 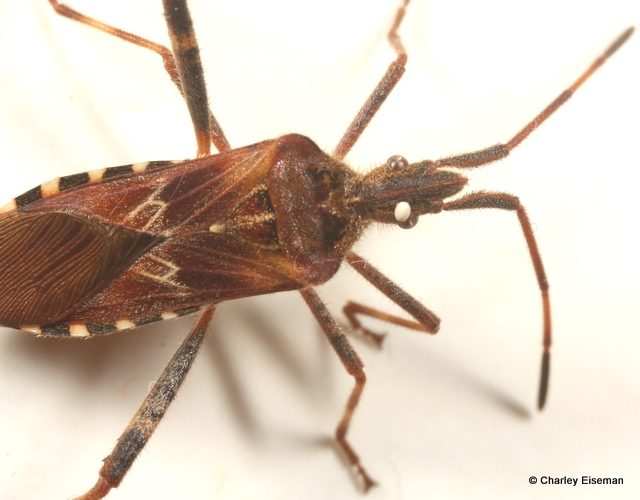 Western Conifer Seed Bugs are common here. I’ll take a closer look next time I see one. thanks for sending it. Spectacular. I also observed a parasitoid egg on the head of a western conifer seed bug (http://thelifeofyourtime.wordpress.com/2011/09/28/random-insect-western-conifer-seed-bug/), but following the life cycle of the fly was an awesome move. I’m glad to know what’s responsible for those eggs. Awesome story and great photography. 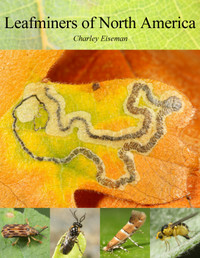 Plant-insect interactions are my favorite, but insect-insect interactions are a close second. Handsome flies but you are right about that mouth.